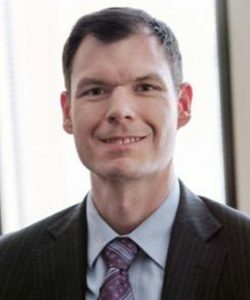 Michael Hillmer is the Executive Director of Information Management, Data, and Analytics, within the Health System Information Management Division of the Ministry of Health and Long-Term Care and has been part of the Ontario Public Service since 2007. In this role, he is responsible for ensuring the data and analytic needs of the health system are met while maintaining a robust privacy framework. Ultimately, his portfolio is responsible for delivering insights into the hands of decision makers. In previous roles, Michael was the Director of Research, Analysis and Evaluation Branch, within the Strategic Policy and Planning Division, where he sought to ensure that ministry decision-making is informed by the best available evidence. Prior to that, Michael worked for the Health Council of Canada and in the pharmaceutical industry. Michael’s academic background includes graduate degrees from the University of Toronto, and a BSc from Carleton University. He is appointed as an Assistant Professor at the University of Toronto’s Institute of Health Policy, Management and Evaluation, where he focuses on knowledge translation.